This year I was only able to make Saturday evening of California Extreme which was really unfortunate. 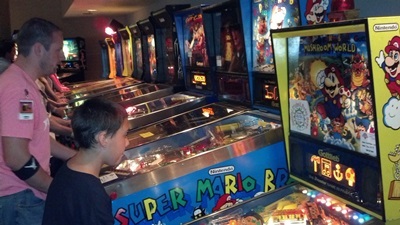 The show is bigger than ever with over 550 pinball and video games so wait times were a lot better than the last two years. Stephen Kleckner of the East Bay Pinball League ran a Street Fighter 2: Hyper Fighting Tournament. 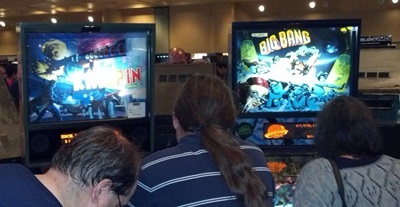 A Metallica Launch Party Tournament was held in the Marco Specialties booth. The main pinball tournament, captained by PAPA TV honcho Bowen Kerins, took advantage of some hot new software by competition player Karl D’Angelo and it’s just such a leap for competition play that it trumps even the best run pen and paper efforts. It’s a very exciting time for pinball. If you have some good pictures or a link to your flikr/picassa or other photo gallery, send me the link here and share your CAX memories. 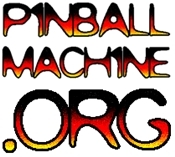 ← Pinball Banned in LA!